This year we’re happy to announce PlantCatching’s second plant/seedling exchange. 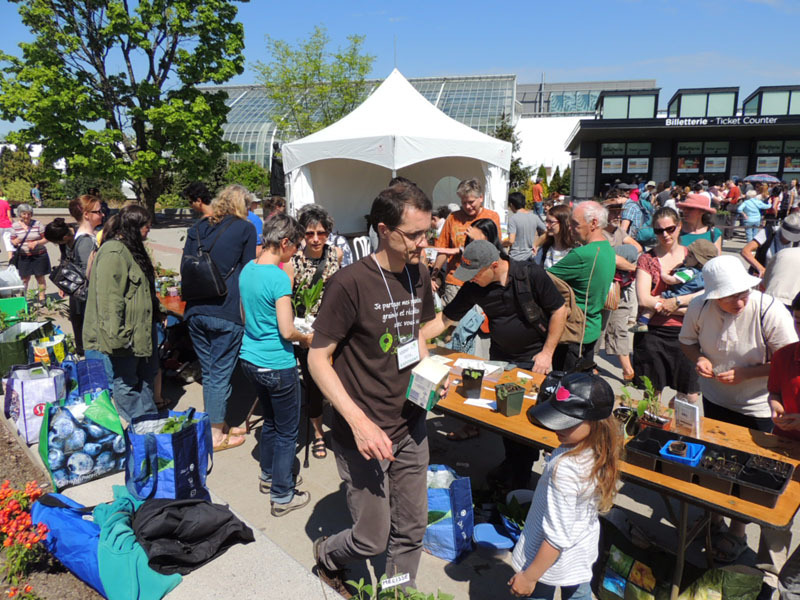 Just like last year at Montreal’s Botanical Gardens, Albert Mondor (horticulturist) will be present to provide information on the plants and will host a raffle of plants generously donated by horticulturist professionals and urban growers. More than a dozen have responded positively to my request (more specifically; this morning, I found out the horticulturists of the Saint-Joseph Oratory were willing to offer something!). As per the location, it won’t be the Botanical Gardens this time around. Our hosts are the Maisonnette des Parents located on Saint-Laurent blvd, a community organization that helps families in need. Even if you have already, it’s important to relay the information on your social networks, particularly this Facebook post. Make sure you copy/past the text in your profile. Talk about the event in your circles, invite other gardeners. If you don’t have a PlantCatching account yet, create one now and specify your address in your account. It’s necessary in order to register plants for the event. Identify the plants you would like to bring and register them on the site. You can do so until the eve of the event. At the top of the form, there is an icon to click on to indicate the plants are for the event. Create your profile on the site and print out a couple member cards. You will most likely have a chance to share them with other gardeners. At the end of the plant sharing event, I will be available to discuss topics related to the PlantCatching site with anyone interested. It’s a great moment to bring your feedback and ideas. Whether it’s sunny or raining, it will no doubt be an exceptional day. I hope to see you all in big numbers. 1. Find plants, seeds and bulbs, gardening materials and even fruits and vegetables given by fellow gardeners, either anonymously in a public area, or personally at or near their property. 2. Share your passion by giving your plants, seeds, bulbs and your own harvest crops so that existing members of the site or even passers-by can catch, plant and admire them, or eat them.